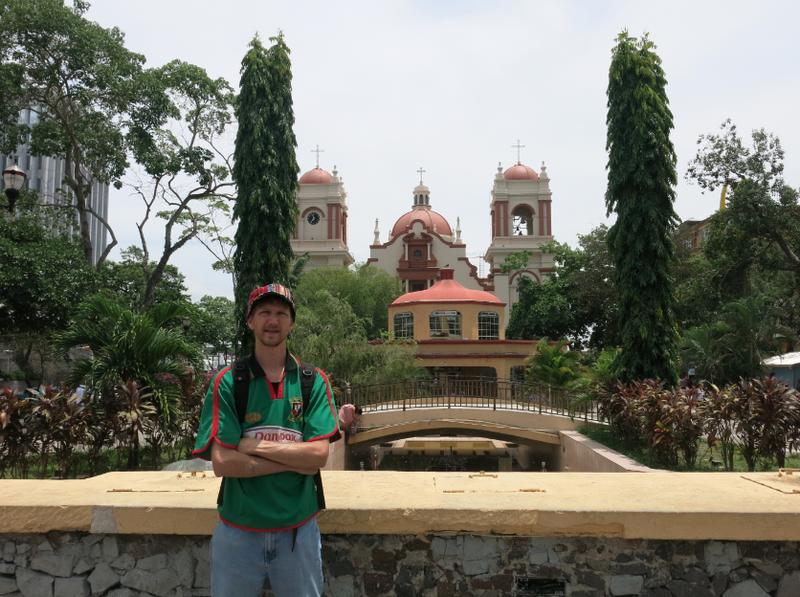 Backpacking in San Pedro Sula, Honduras: Braving the world’s most dangerous city! 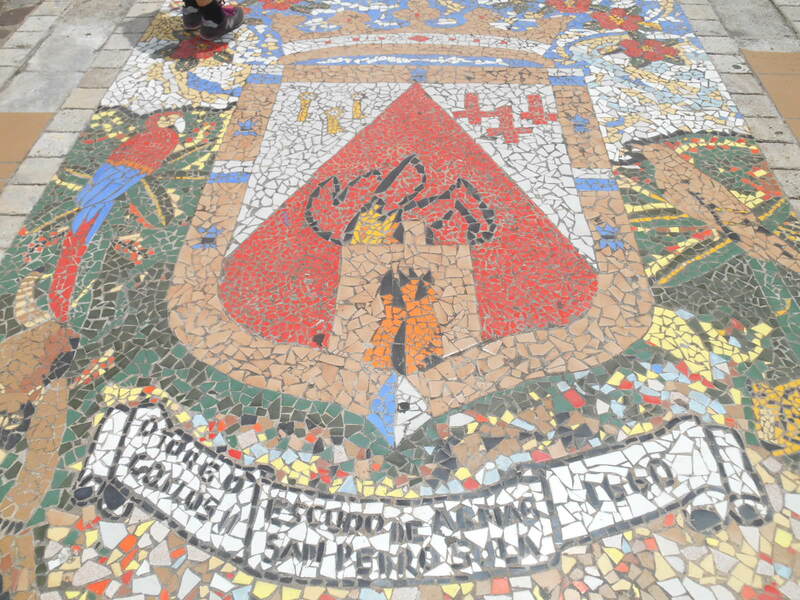 Do you believe the hype about San Pedro Sula in Honduras? 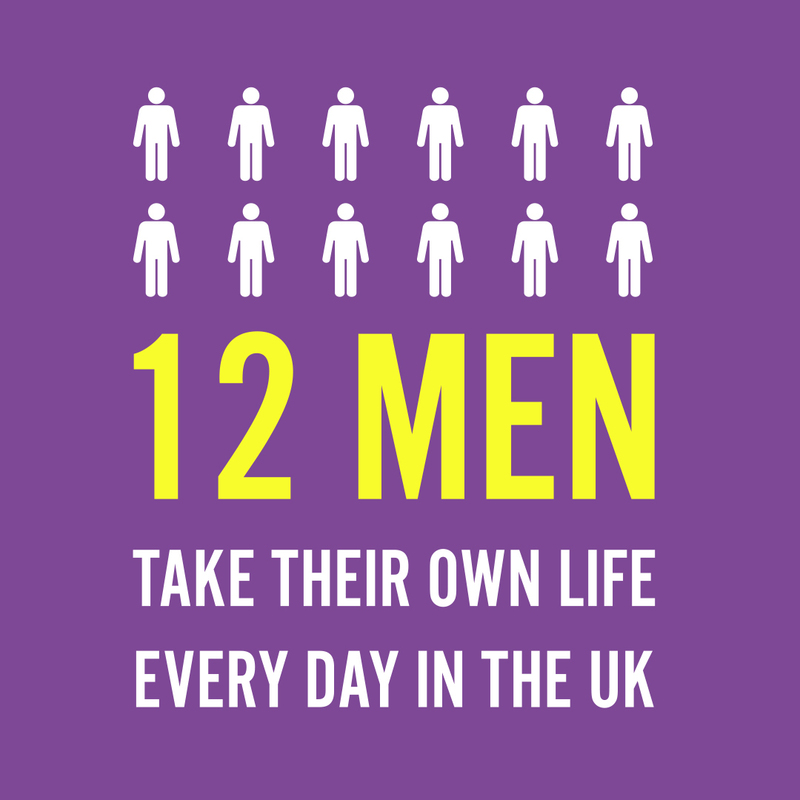 You’d be a fool not to, the statistics speak for themselves. 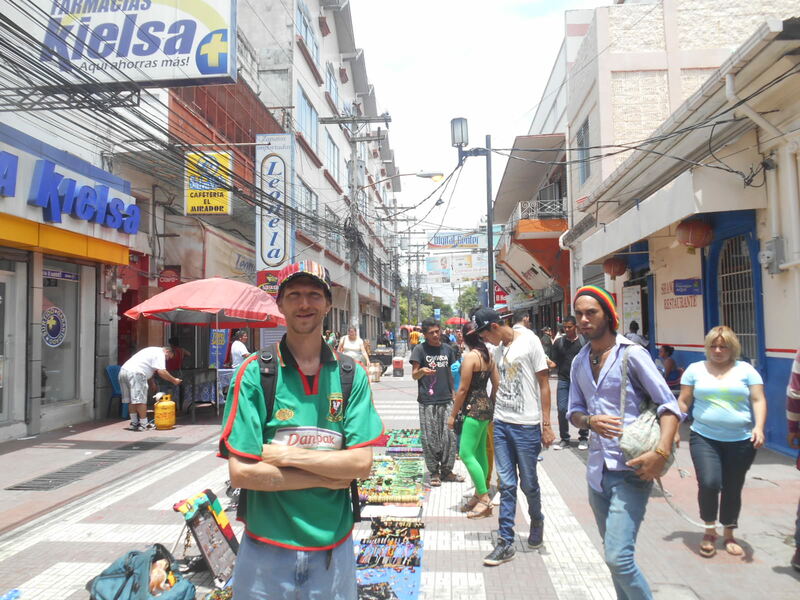 As far as backpacking in Honduras is concerned, San Pedro Sula is usually the city to avoid. Gang warfare rules supreme here. Year after year the murder statistics are huge, and except for massacres and wars, it stands out as the most violent city in the world. It doesn’t mean that tourists are a target though. The violence is mostly gang on gang and drugs related. 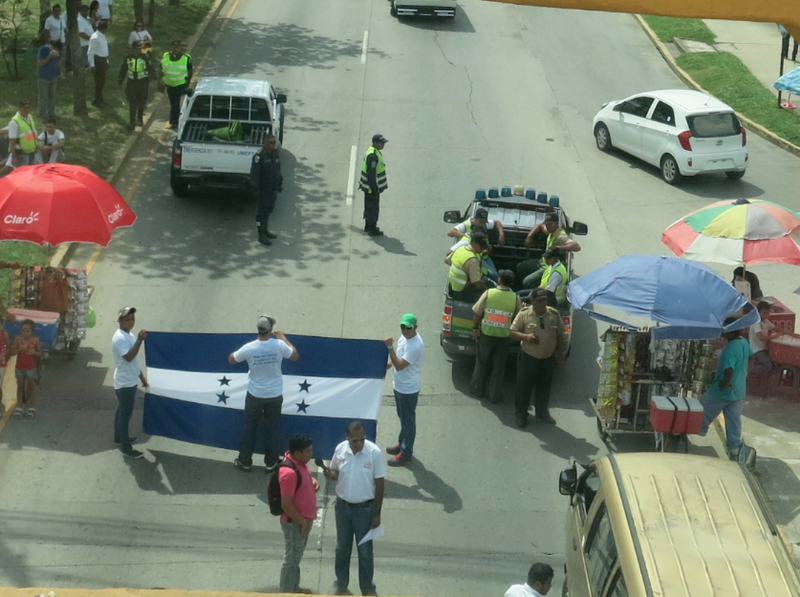 A protest we saw in San Pedro Sula – often regarded as the world’s most dangerous city. 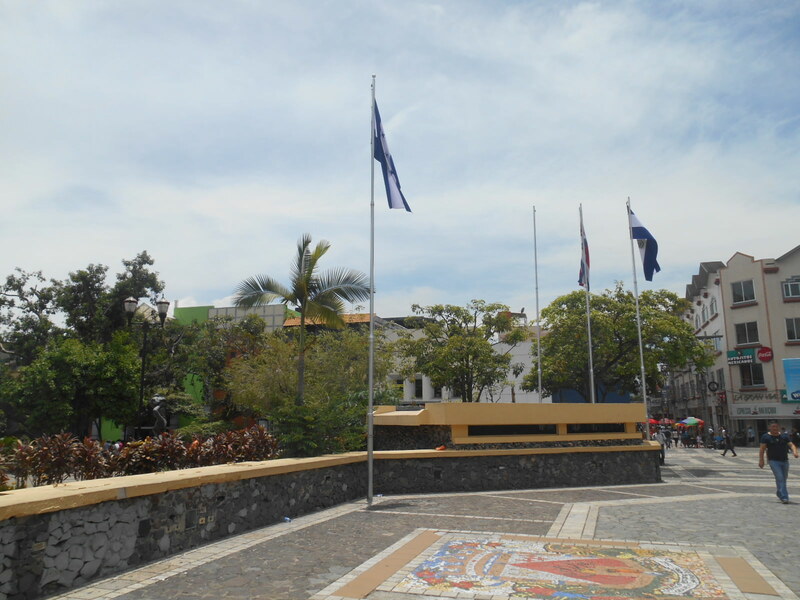 Be a tourist in the war zone – San Pedro Sula downtown. But then again, my love for travel took me here and after visiting Copan Ruinas, and re-entering Honduras at Puerto Cortes, the murder capital of the world somehow seemed like the best place to relax for 2 days and decide what to do next. As bizarre as that sounds, we actually had a great time here, found a cosy hotel, loved the local food and enjoying the sights the city has to offer. 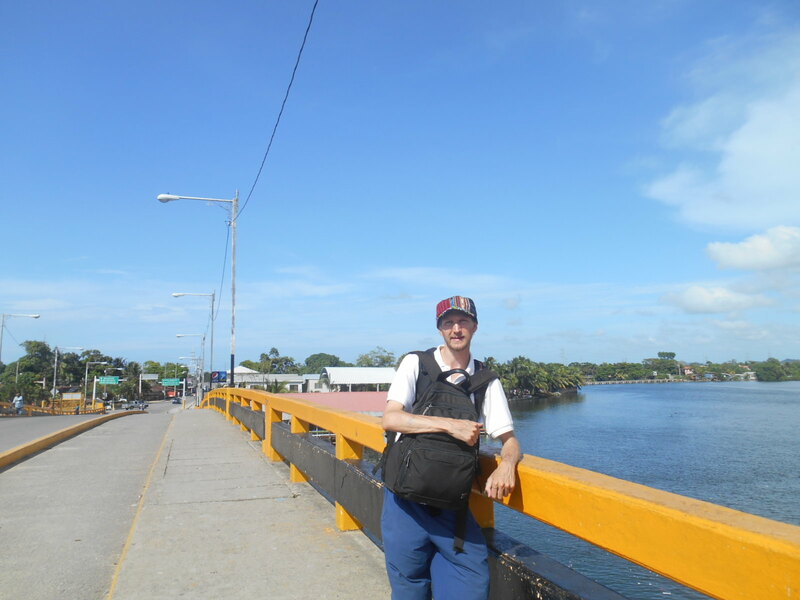 Arrival back into Honduras at Puerto Cortes ready for the experience of San Pedro Sula. If you do end up in San Pedro Sula, however I urge you to take good care. Crime rates don’t lie and even the locals feel the threat. Don’t wear watches or flash any kinds of wealth around. 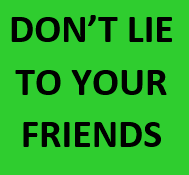 Take only the money you need out with you, keep your head down and use taxis more than you normally would. Especially at night. 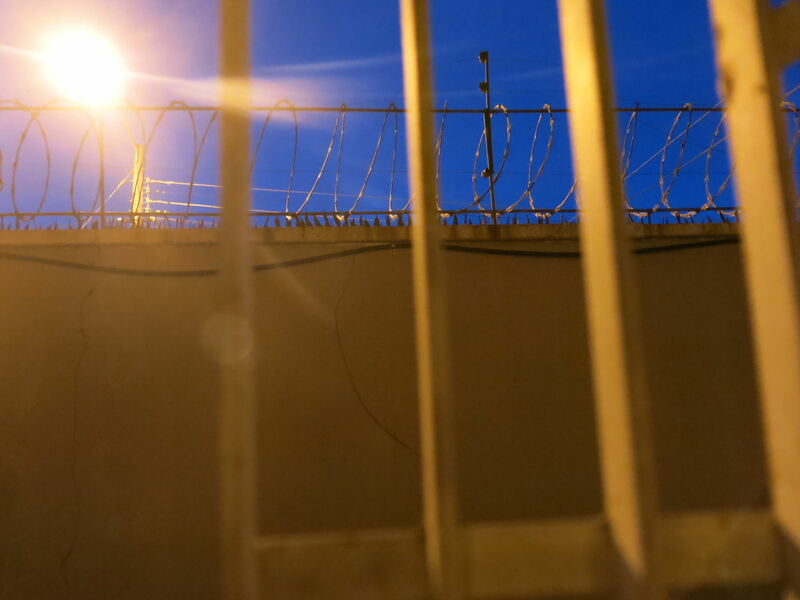 Nightfall in San Pedro Sula – stay safe my friends. We chose the hostel called La Hamaca. This place surprised me and was NOT how I imagined a hostel in this city would be. The staff here, Tesla (a local) and a namesake of mine, Jonny (an Englishman) greeted us, showed us round and we were pleasantly surprised. Our cosy room in the murder capital. The room prices for a dorm bed start at $15 US plus tax. 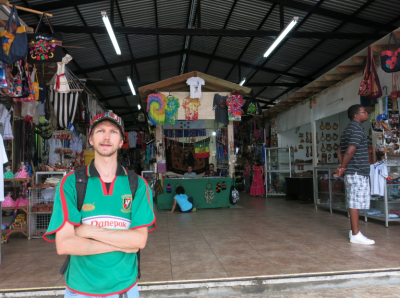 The thing about Honduras is that there is a 19% tax often added to things, so be aware of that – it really grills me and we ended up paying a fortune for a few hostels and meals as we didn’t factor in the tax. We got a double room for $35 (so $17.5 US each). Payable in US Dollars or of course the local Lempiras (roughly 20 of these is 1 USD). Book La Hamaca on Agoda but please be aware that they charge you more if you pay in Lempiras than in US Dollars as well as the tax. Beer and a safe garden in La Hamaca. – Honest Drivers (when you ask the price of a taxi make sure you speak Spanish simply saying “Hola, cuanto questa <insert destination>?” will ensure you get the right price). 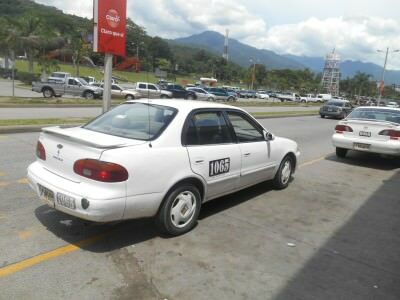 I’ve travelled a fair bit and I can usually tell if drivers are honest or not – here in San Pedro Sula, they mostly are. A San Pedro Sula taxi – worth getting! 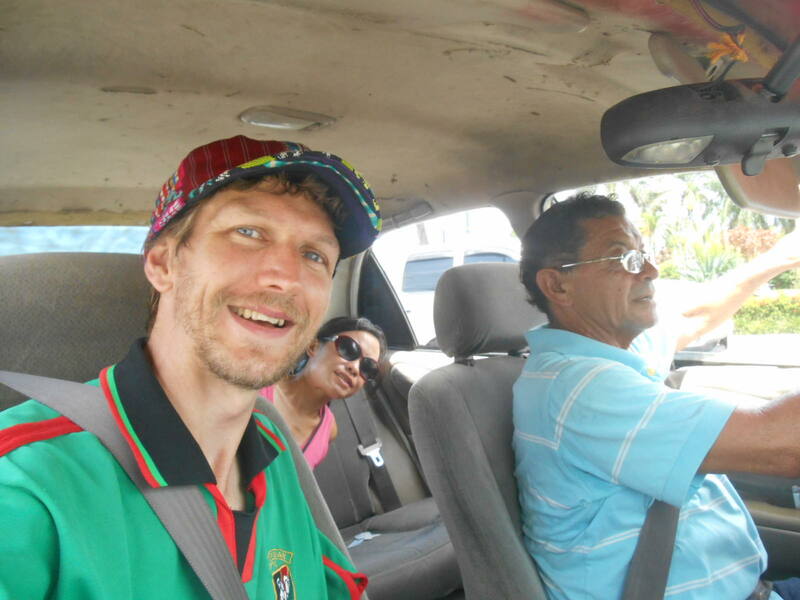 In a taxi in San Pedro Sula – cool local drivers to chat to. Walking around the neighbourhood near the hostel is also perfectly fine by day, as is the city centre. But at night, it’s a different matter. Use taxis. View from our hostel dorm – keep safe in San Pedro Sula. Yes – there is some seriously good sightseeing to check out here, fire your way through this top 7 and you’ll enjoy yourself – I skipped the Museum (Museo de Anthropologia e Historia de San Pedro Sula) by the way, so if you add in it, you’ll get 7 cool sights here! Also, 5 of these 7 places are all within walking distance of each other by Parque Central so it’s easy to find your way around. 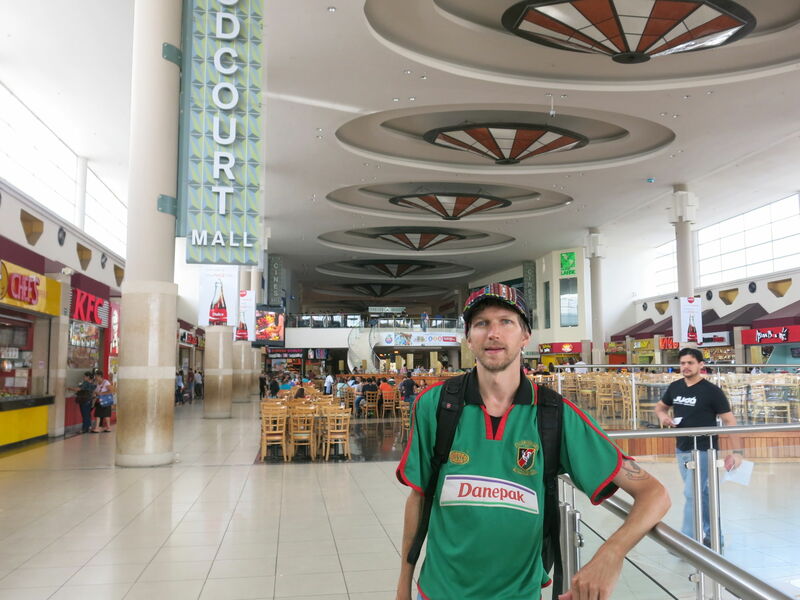 Parque Central is where it’s at as far as San Pedro Sula’s city centre is. This square is nice. Leafy, safe by day and with impressive architecture all around, I’d recommend heading straight to Parque Central in the downtown area. Backpacking in San Pedro Sula Honduras – Parque Central. 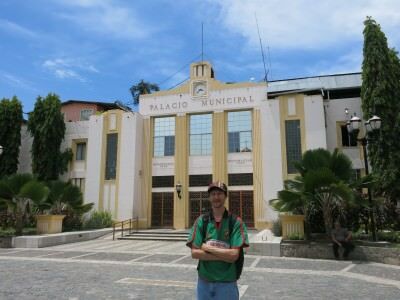 In the Parque Central is the main Palace, more like an elaborate City Hall – yellow, white and well maintained and called Palacio Municipal. Palacio Municipal, San Pedro Sula. 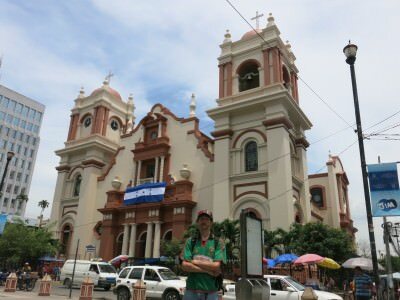 San Pedro Sula has quite a few scattered churches but the prettiest by far is the main Cathedral, which is also in Parque Central. The Cathedral in San Pedro Sula, Honduras. 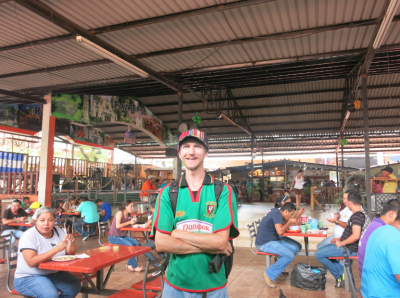 I loved Plaza Tipica as it is cheap, safe and the food is great. 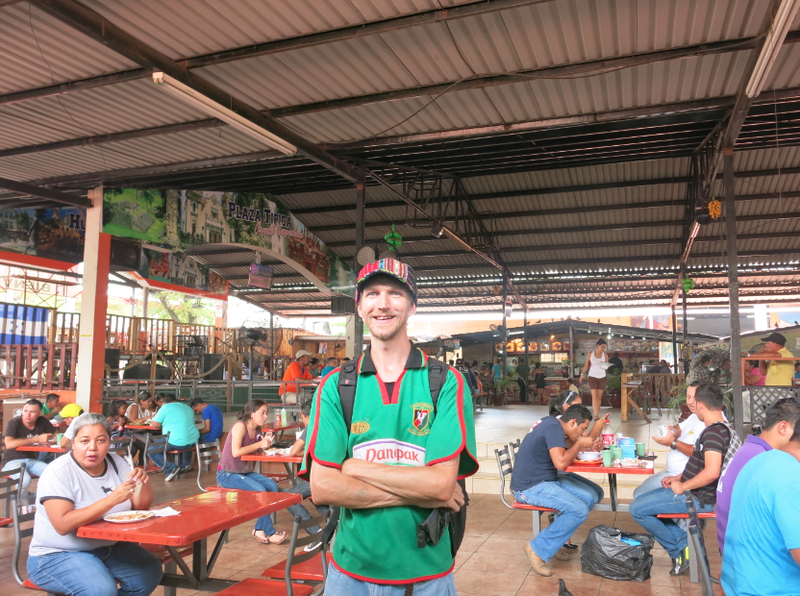 Basically it’s a covered outdoor food market with the best local cuisine that San Pedro Sula has to offer. 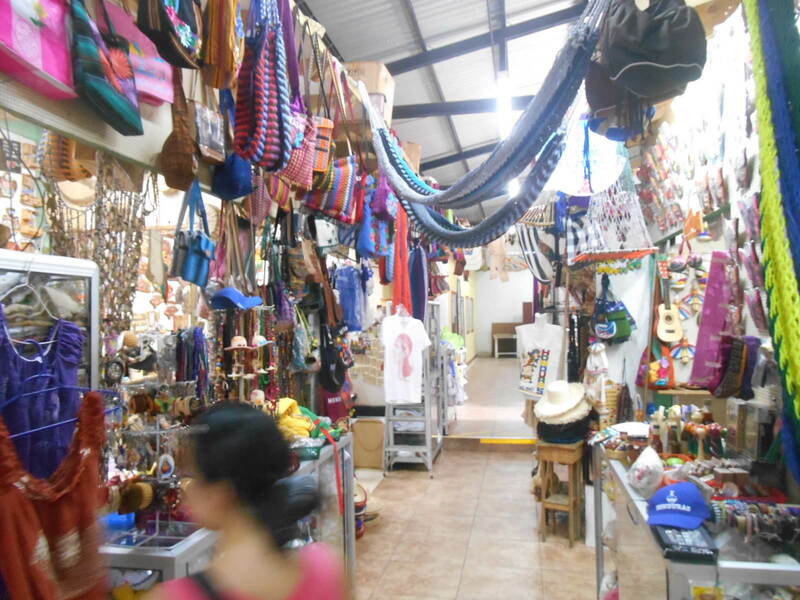 It’s literally just a 2-3 minute walk from Parque Central too! 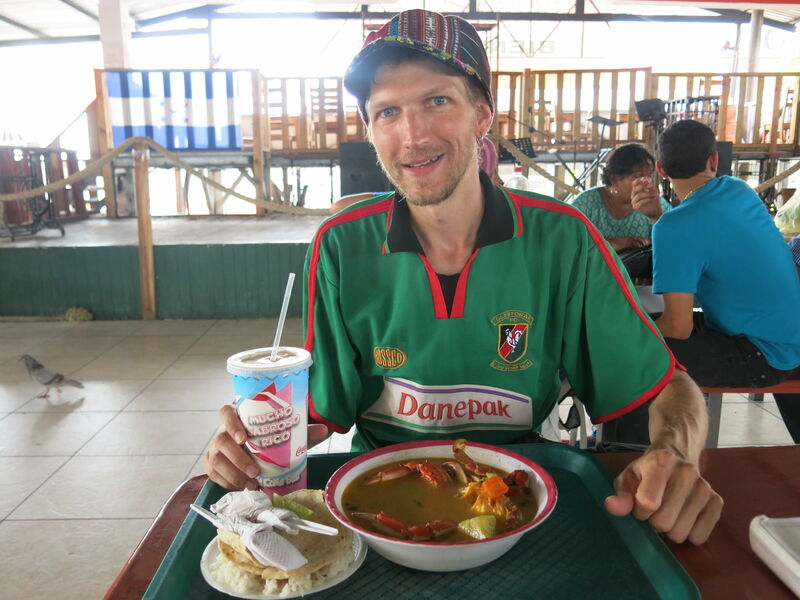 The seafood soups (from 60 Lempira) and barbecued meat meals (from 50 Lempira) come recommended, as do the excellent fruit juices (15 Lempira). There is a HUGE range of food to choose from here! With my seafood soup and fresh pineapple juice in Plaza Tipica, San Pedro Sula. This is a cool arts market again it is 2-3 minute walk from Parque Central, and is on the left hand side of 3rd Avenue, to the left when you face the main Cathedral. A postcard from San Pedro Sula – the world’s most dangerous city. 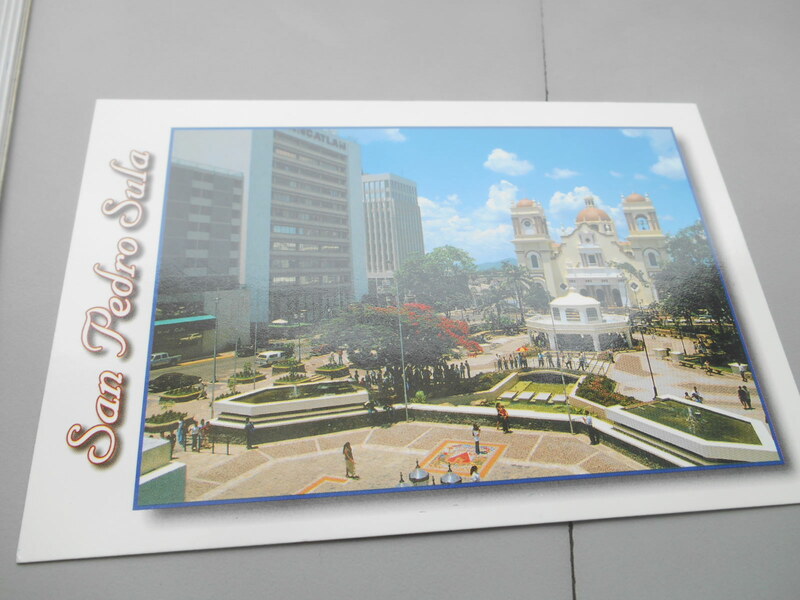 I loved the way you can buy postcards and souvenirs here as really San Pedro Sula is not a touristy destination at all. I’m a football freak and geek and I love the sport. It was one of the catalysts to my travels in the first place. All those Panini Sticker Albums, all those Northern Ireland matches I watched and the fact that in the last 10 countries I had been to, I had visited a national football stadium of some sort. 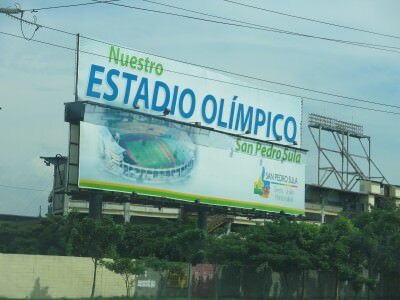 Estadio Olimpico, San pedro Sula, Honduras. Honduras have been in three World Cups – 1982, 2010 and 2014. In 1982 they played against my country in the group stages – Northern Ireland. We were 1-0 up against them thanks to Gerry Armstrong and then they equalised to make it 1-1. That was the final score and Northern Ireland went on to win the group unbeaten, while Honduras lost their other two matches and went out. Same story in 2010 and 2014 – they exited at the group stages. 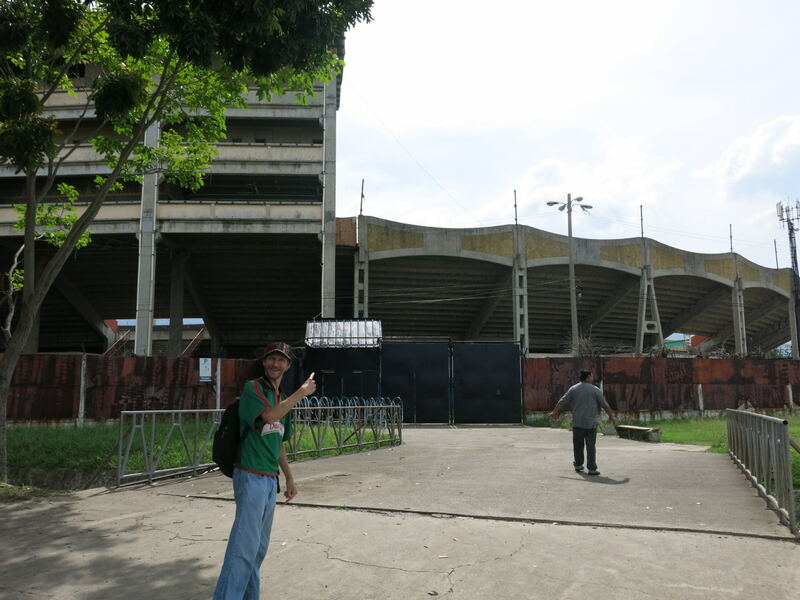 Heading to the entrance gate for Estadio Olimpico in San Pedro Sula. However here in San Pedro Sula the Estadio Olimpico Metropolitano is a bit of a cauldron! They caned Canada 8-1 here. Getting to the stadium on a non match day is not that easy, in a dangerous city like this, you’d have to get a bus to the highway then walk in your self. So instead we paid a taxi driver to take us out there. 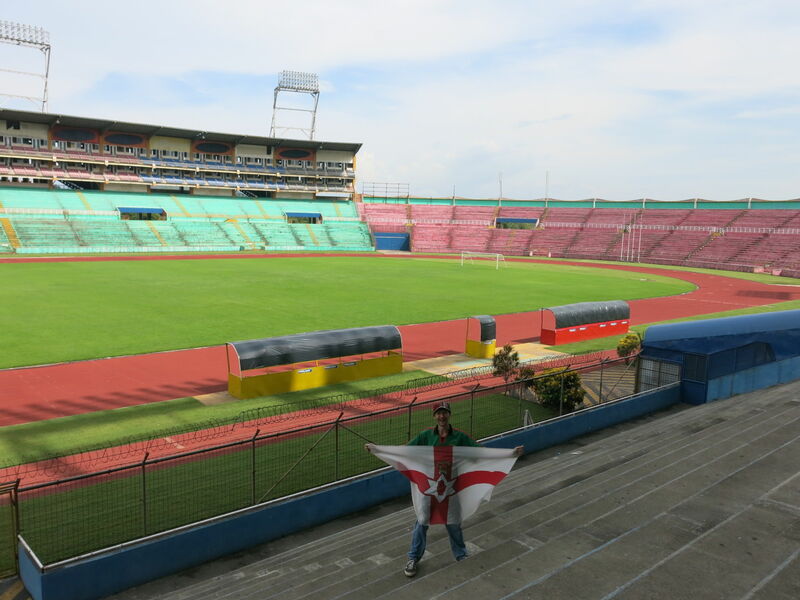 Northern Ireland flag inside Estadio Olimpico in Honduras. This worked a treat as the taxi driver spoke to the police on the gate and we were able to get inside the stadium and take photos! Amazing. 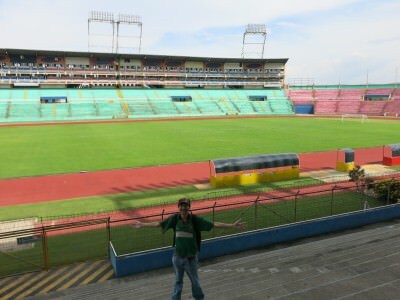 Inside the stadium at San Pedro Sula. Last on this list and perhaps odd for me to include what is essentially just a “shopping centre” but the swanky City Mall was only a 5-10 minute walk from our hostel and a really safe place to chill. 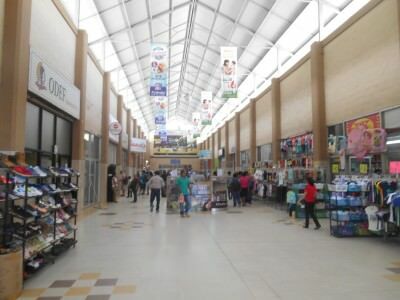 Not only do they have a great food court (much cheaper than the overpriced hostel food), but a load of shops, ATMs (safe to use here) and even a Cinema where you can feel safe at night. City Mall in San Pedro Sula – safe and swanky. 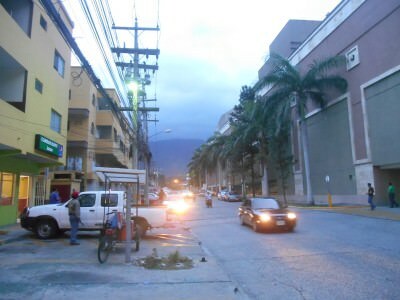 It’s also nice to see how the richer people in San Pedro Sula actually live. Most shops have security and guys holding guns on the entrances – all part of the San Pedro Sula experience as far as I’m concerned. So with those 7 things to see and do and a decent hostel, it’s definitely worth two nights while you make your next move. San Pedro Sula bus station is an extremely useful hub. From here you can get buses to Puerto Cortes (for Belize), Copan, La Ceiba, Tegucigalpa and Lago de Yojoa as well as to the Guatemalan border. 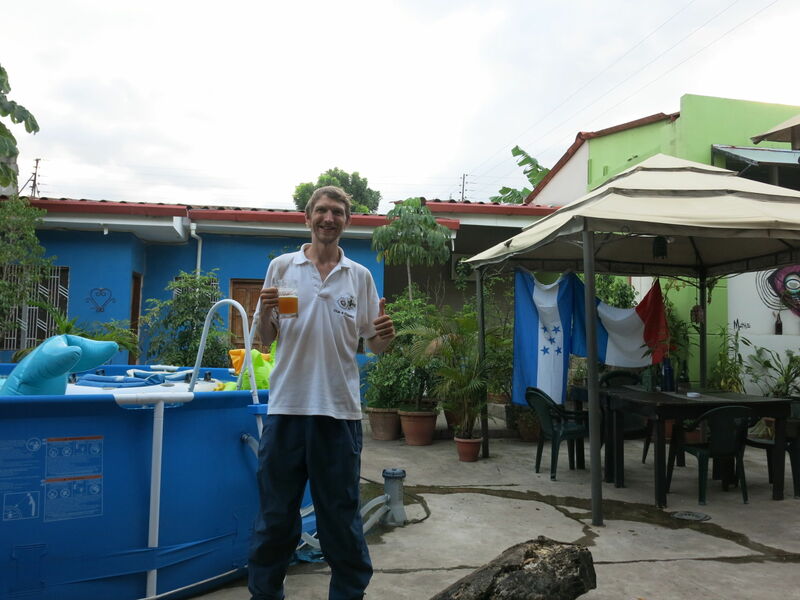 This entry was posted in Honduras, Lists, My Top 5s, North America, San Pedro Sula. Bookmark the permalink. Hi Jonny! You are really brave in going to San Pedro Sula. I commend you. I find it amazing that you even carry an Irish flag around with you. Keep at it! Canada makes its long awaited return later this year (early September 2016) for the 2018 World Cup qualifiers (Round #4 for CONCACAF). I am very much considering making the trip down to catch this match if it means a win or draw will qualify us for the Hex. 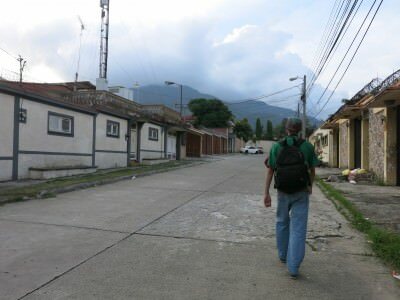 Plus, I missed out on backpacking around Honduras back in 2009 when the President was overthrown by a military coup three days before my arrival. Really itching to see this country as a result! 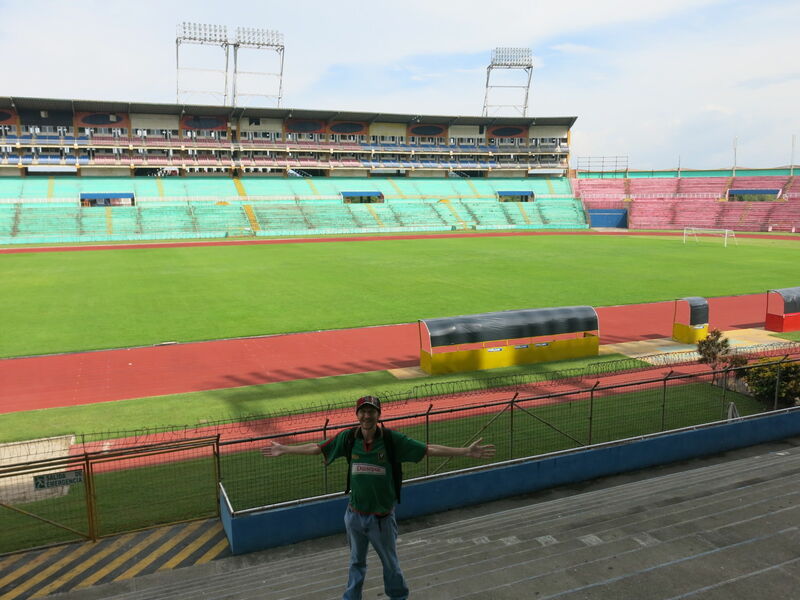 Will keep you posted as I am sure I will seek some advice and opinions about San Pedro Sula from you if I do go down for the World Cup qualifier. Yes, they are definitely playing in Honduras on September 2 as we defeated them here at Home 1-0 back in November 2015. 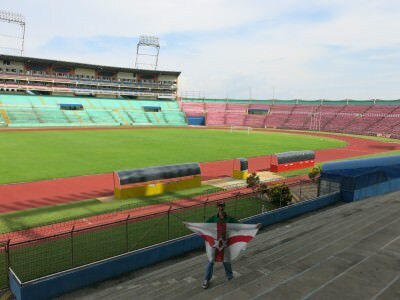 The Stadium has TBD, but San Pedro Sula is a lot easier to fly into from Canada than Tegucigalpa. I will keep you posted, but my plan is to backpack for 2 – 2 1/2 weeks across the mainland from Tegucigalpa to San Pedro Sula or vice versa depending on where the match is being held. 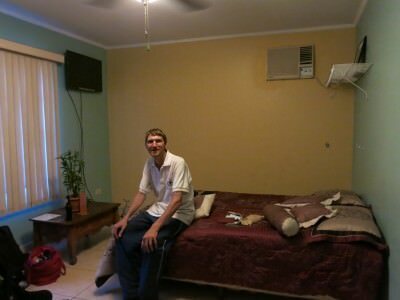 I agree with you about not staying at that hostel in San Pedro Sula. What I will do instead is email Canada Soccer or get help from the Voyageurs (the official Canada fan club) about what hotel the team will be staying at. Just makes sense to stay in the same hotel as them as you know that there will be extra security there and it makes for a cool travel story if I get to meet any members of the team. Will keep you posted about my plans as something else may pop up instead. But I am 100% certain that I will be travelling somewhere this year for a couple of weeks and will look to your blog for some inspiration. DO YOU HAVE A SAFE WAY TO GO TO GUATAMOLA AND BELIZE AND BACK JUST TO SEE THE TWO COUNTRIES IN TWO DAYS. Great post. I’ve been to SPS a few times and stayed at the same hostel. Last time I took local buses all the way from SPS up to La Chiba and back down through SPS, Tegucigalpa, and all the way to San José Costa using the “thebusschedule” website. I stopped at different places all along the way and stayed a few day at time. I remember Honduras was the 2nd most expensive country I had been to in Central America with Costa Rica being the first. I would suggest anyone wanting to see something more than just Utila and Roatan take a trip to Lago de yojoa in central Honduras. It’s not as developed as Lake Atitlan in GuatemalaIta and doesn’t have as much to do, but you can really see the real Honduras and the people are really nice. It dozen’t take long to get there by bus from SPS and schedules can be found at thebusschedule website. As a Brit who lives in Honduras, I am a writer as well, I must say that I don’t appreciate foreigners like yourself buying into and exploiting the hype about places like San Pedro being murder capitals, it’s ridiculous and untrue. Yes, there are gangbangers who commit all manner of violence yet this is a rarity – an extreme rarity – if commited on foreigners. 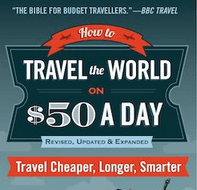 I like your articles and they give good advice – especially the one on crossing from Honduras to Belize. I would appreciate it in the future though if backpackers like yourself could take Honduras as they find it. Safe and beautiful.